Ever wonder how to get your questions answered at a post-award debriefing? It can be frustrating to get the information you really want to know from the Government. 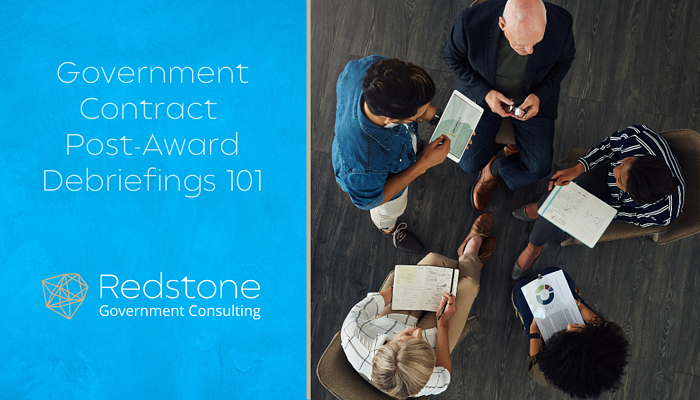 When I worked as an acquisition attorney with the Government, I spent many hours with my evaluation teams preparing for post-award debriefings. I always set time aside to go through a mock debriefing and discuss what information to disclose and what type of questions to table. In general, the contracting officer wants to close a debriefing as quickly as possible. They often try to have questions submitted prior to the debriefing or asked at the debriefing if it is in person. The contracting officer’s goal is usually to close debriefings at the close of the face-to-face meeting. However, the 2018 National Defense Authorization Act (NDAA) enhanced contractor’s post-award debriefing rights. On March 22, 2018, the Department of Defense issued a class deviation to implement the enhanced rights written in the 2018 NDAA. Contractors now have two days after a debriefing to submit questions in writing. The Government should respond to the questions in writing within five days of receiving the questions, allowing contractors time to digest the information from the debriefing and assess potential follow-up questions. This is an excellent opportunity that every contractor should take advantage of to investigate further as to why they did not receive an award. Five days after the Government delivers its written response to additional questions submitted by the unsuccessful offeror, whichever is later. Notice the second bullet is from the date the debriefing is offered. That date is not always the same as the date the debriefing is held. When I worked with the Missile Defense Agency, we would often offer a debriefing date in the unsuccessful offeror letter. If the contractor could not meet on the date in the letter, they would request a new date. However, the date in the unsuccessful offeror letter is the date the debriefing was offered. So, the five-day window for the stay begins on that date unless questions are submitted to the Government. If you can’t meet on the originally offered date, be sure to submit questions related to the debriefing to extend your stay window. If you need assistance reviewing debriefings or forming your questions in a manner to get the most information possible from the Government, contact our office. Redstone Government Consulting combines the most senior industry veterans with bright new talent in the industry. Many have held senior government positions, including leadership roles in the DCAA. Our new talents bring innovative outlooks and significant accounting and software experience to our team. This enables to provide a unique perspective, bringing both government and contractor proficiencies to bear and ensuring rock-solid government compliance for our clients. With training and consulting packages for companies of all sizes, we can assist you in all stages of your government contract experience. Kelli is a Senior Legal Consultant with Redstone Government Consulting, Inc. Formerly Associate General Counsel for the Missile Defense Agency, Kelli assists companies with compliance, interpretation, and analysis of contract and procurement laws, regulations, and contract clauses. Additionally, Kelli advises companies with preparation and review of proposals. She also assists companies with teaming agreements, contract negotiations, claims, terminations, debriefings, protests, and general government contract topics. She assists companies with assessing potential Organizational Conflicts of Interests (OCI), establishing OCI monitoring programs and training employees on OCI. Kelli advises clients with responding to external agencies such as Suspension and Debarment Officials and Department of Justice with regard to procurement fraud investigations and provides litigation support as needed. Kelli began her career at the Missile Defense Agency in 2006 in the Ground Based Mid‐Course Defense contracts office. There she negotiated contracts, worked contract terminations, claims, modifications, and any other contracting actions needed. Kelli also working in the MiDAESS office where she assisted with developing acquisition strategies, wrote requests for proposals, advised evaluation teams, assisted with preparing evaluation documentation, and prepared Agency position concerning OCI issues. In 2010, Kelli joined the Missile Defense Agency General Counsel’s Office. In that capacity, Kelli served as legal counsel on complex source selections to include multiple Targets procurements, as well as MiDAESS and TEAMS. She advised clients on all acquisition and contract matters to include interpretation of procurement related laws and regulations, acquisition strategy, data rights considerations, claims, terminations, and defending the Agency against legal challenges. She served as MDA’s Procurement Fraud attorney and Suspension and Debarment counsel. She assisted with forming and served on MDA’s OCI panel. Redstone Government Consultants are a team of the most senior industry veterans and the brightest new talent in the industry. Many have held senior government positions including leadership roles in the DCAA. Our new talents bring significant accounting and software experience along with fresh perspectives, inspiration and energy to our team. Through our leadership and combined experience, we provide a unique perspective, bringing both government and contractor proficiencies to bear and ensuring rock-solid government compliance for our clients.